Vision-Box has won a major tender agreement from the Australian federal government worth around $22.7 million for the provision of automated biometric contactless traveler’ clearance process technology for Australia’s airports, according to a report by ARN. The government valued the three-year contract, which runs from June 26 to June 25, 2020, at $22.5 million, however, tender documents state that the deal is worth $22.7 million. Under the agreement, Vision-Box’s local division will deliver upgraded biometric technology, enabling the Department of Immigration and Border Protection to collect and use biometric data to identify and clear passengers arriving at Australian international airports. The deal is part of the government’s broader $123.6 million investment in improving the Australia’s border control technology and systems. Earlier this month, Vision-Box Australia posted on its recruitment website, SEEK, that the company’s local operation is looking to hire permanent technical support specialists in Melbourne, Perth, Brisbane and Canberra. The jobs involve hardware and software operations, such as hands-on fixes, installing and upgrading software, implementing file backups, configuring systems, the roll out and installation of new systems, and the testing and configuration of new systems. Vision-Box Australia is also seeking a senior software developer and an incident manager, both based in Canberra. In December 2016, the Australian government went to tender seeking a supplier for an automated border control solution at Australian airports to replace the existing arrival SmartGates system. In early July, the Department of Immigration and Border Protection made a related request for the provision of automated processing at Australian ports. On July 10, Vision-Box joined other tech players like Datacom, IBM, Telstra, Hewlett-Packard Australia (HPE) and Fujitsu, at an industry briefing about the tender process for the project. The projects are a part of the government’s “Seamless Traveler” initiative, a $93.7 million, five-year funding program for the rollout of advanced automated biometric processing at major air and sea ports. 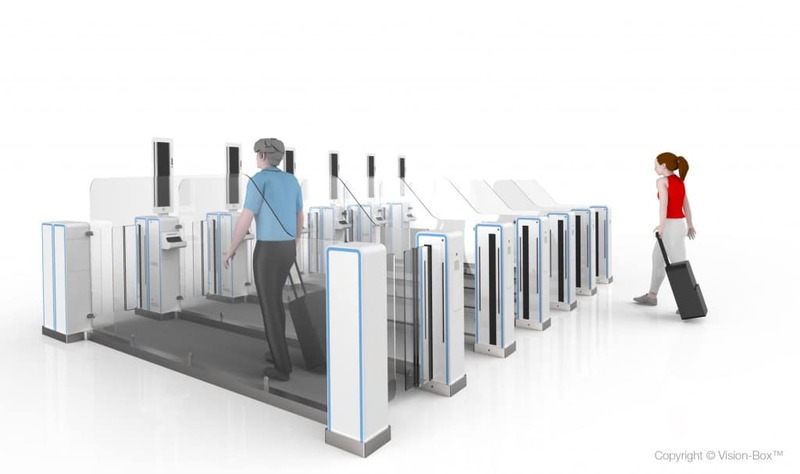 Earlier this year, Vision-Box introduced its integrated biometric exit solution at connect:ID.